The husband and wife team (Darren & Kristine McGill) started their food venture in 2010 as a small food cart in downtown Portland. The cart was well known for their tasty burger (the Chubs) and in 2011 was voted Portland's Best Burger. 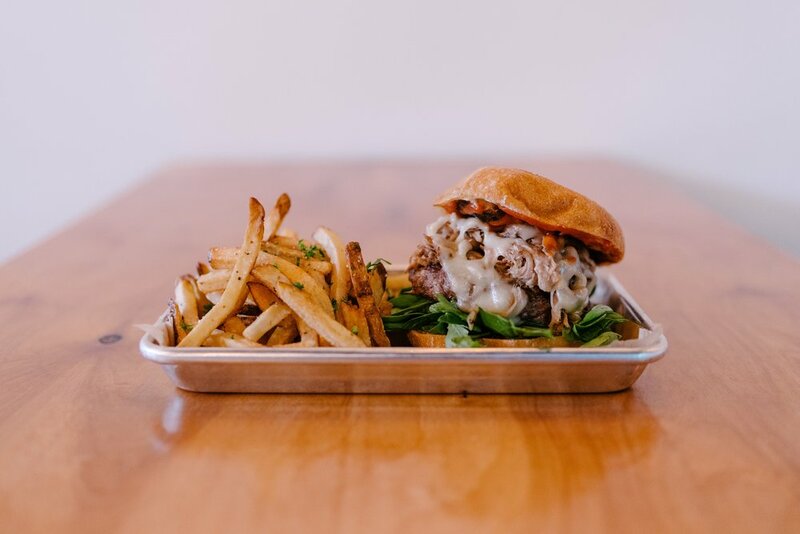 After conquering Portland, the couple set their sights on Seattle and made the move north in 2012. happy grillmore was welcomed by seattleites and voted seattle's best food truck burger 2 years in a row. the popular food truck has been featured multiple times in seattle magazine, Seattle weekly, & Seattle met. They've also been featured on tv's evening magazine and food network.com. opening a Brick & mortar space has given the husband and wife team room to expand their creativity and menu. using their own small batch ice cream (central district cream co.) they've added delicious shakes to the popular burger menu. they have also added deep fried hand pies to go along with their hand cut fries. they also HAVE PLANS TO add a small but delicious brunch menu featuring bottomless mimosas and micheladas. while the food truck is no longer in daily operation, They are still available for catered events. some of Their past clients include microsoft, amazon, google, zumiez, the city of Seattle, redfin, the university of washington & bravo's Top Chef.